For thousands of years, the Colorado River has carved its way through the Grand Canyon. While remarkable landscapes and breathtaking beauty are present, aesthetics are not as valuable as the knowledge available in the canyon. Maya Caldwell, the director of student services at Williams Elementary Middle School (WEMS), wrote in an email that there a several opportunities for students to learn about the Grand Canyon. Among them are enriching field trips and park rangers coming to WEMS to host hands-on lessons about park education. Sechrist Elementary now offers flexible seating in all its classrooms. But that doesn’t mean students are learning to touch their toes. It means young learners can now choose how – and where – they learn best. LAUNCH Flagstaff approached both the Flagstaff City Council and the Coconino County Board of Supervisors (Feb. 5) with one central message: the community needs more quality preschool options. 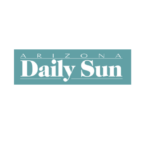 To advance world class education, which is LAUNCH’s stated mission, the organization is seeking supporters for a pilot program to improve preschool education within Flagstaff Unified School District boundaries by providing full-day, year-round preschool to 4-year-olds from low-income families. 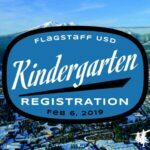 To assist families with the registration process for the 2019-2020 school year, Flagstaff Unified School District elementary schools will be hosting Kindergarten Registration on February 6th from 4:30 p.m. to 6:30 p.m. at all district elementary schools. On Tuesday, Dec. 11, Sedona-Oak Creek School District Superintendent Dennis Dearden accepted a large donation on behalf of the newly-founded Sedona Education Foundation — $20,000 from one retired couple. William and Cheryl Geffon, New York transplants to Sedona, presented the inaugural seed of their philanthropic vision for education — the John McCain Memorial Scholarship. The Sedona-Oak Creek School District Governing Board opened its Tuesday, Nov. 13, meeting with Board Vice President Heather Hermen and Superintendent Dennis Dearden giving plaudits to individuals who, in their view, were instrumental in the campaign for the continuation of Proposition 447, the SOCSD Budget Increase Override, which passed comfortably on Nov. 6. 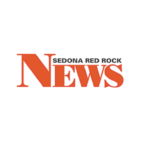 On Oct. 24, Sedona Red Rock High School senior Cody Kirkham and member of the St. John Vianney Catholic Parish, won his first ever Overall Arizona State Championship in the Bordertown Championship for shooting. While Kirkham had won two U.S. National Champions in 2016 and 2018, he had yet to win the Arizona State Champion. Last Saturday, Oct. 20, The Sedona United Methodist Church held its 2nd annual benefit nine-hole golf tournament at Oakcreek Country Club. This year’s beneficiaries were the Sedona Red Rock High School Library and the Sedona Community Food Bank. One-hundred percent of the auction and prize drawing proceeds will be directed to help our local school library with the purchase of new books and remedial care of existing volumes.